The #greenleather2017 conference will be held on the 9 May at Villa Da Porto, Montorso Vicentino, from 10 am to 1 pm. A very intense programme with speeches from the responsibles of the different lines of research to explain the technical innovations achieved by the project after 3 years sperimentation. But also the point of views of the companies’ presidents about the greenLIFE project and its future. Click here to register http://bit.ly/2nRVfvT. After 19 months of experimentation, greenLIFE presented innovations in the tanning industry, which aims for environmental and economic sustainability. The European Union, through the LIFE programme, funded half the greenLIFE project, Green Leather Industry for the Environment. Launched in June 2014, greenLIFE today – after following the results obtained in the first 19 months of experimentation – looks to the future. With #greenleather2016, the project disseminates its achievements in terms of reducing environmental impact and reusing waste and by-products for the benefit of other industrial sectors. 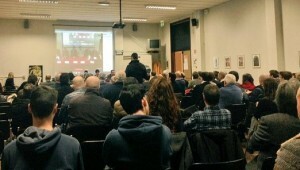 The event was held on December 15 in the auditorium of the Higher Technical Institute G. Galilei of Arzignano (province of Vicenza, Italy). The companies sponsoring the project are Dani and Mastrotto Group, Ikem, Ilsa, and Acque del Chiampo. 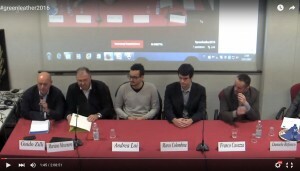 Science and research, combined with commitment and the ability to look ahead in an innovative way for the common goal of preserving natural resources, helps to improve the environmental performance of the Italian tanning sector, which accounts for 65 per cent of the European production of tanned leather and 18 per cent of world production.